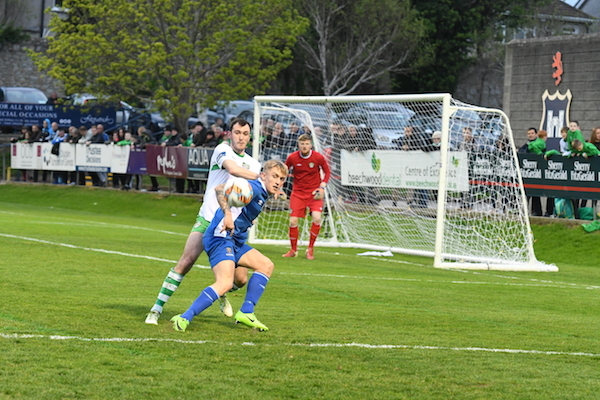 Cabinteely and league leaders Waterford FC played out a 0-0 draw in a somewhat tempestuous SSE Airtricity First Division encounter at a blustery Stradbrook last night. The first half lacked quality throughout; summed up by the fact that there were 79 aerial duals contested in that opening period as both sides struggled to maintain possession on a bumpy pitch. The first shot in anger came after 16 minutes when Cabo captain Daire Doyle found himself in space at the edge of the box but his rasping drive cleared the Waterford crossbar. Five minutes later Cabo, who were content to sit back and hit on the break in the opening exchanges, were in on goal again but this time, Waterford keeper Matthew Connor was off his line quickly to deny Jack Watson who had been put clear by a long punt forward from Kevin Knight. 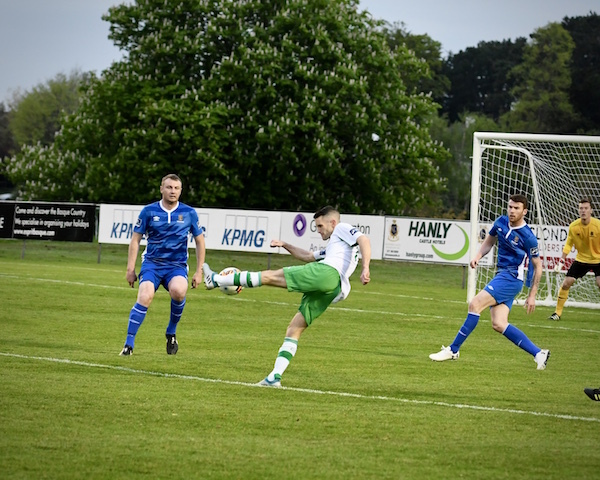 As Cabo started to gain control and with Kieran Marty Waters now prominent, it was to be Watson who would turn provider in the 31st minute for what would be the clearest opportunity of the opening half. Turning on a sixpence in the right-hand corner, Watson produced a fantastic cross into the box which saw Connor again to the rescue for the visitors, this time diving at the feet of the inrushing Joe Doyle who was about to prod the ball home. After the break, both sides seemed to abandon their aerial bombardment tactics and it led to a slight increase in quality all over the pitch. Cabo introduced Cian Lynch in the 66th minute and the change almost paid instant dividends when Lynch’s deep cross into the box found its way to Waters whose first time shot was diverted out for a corner by a magnificent block from Waterford defender Patrick McClean. 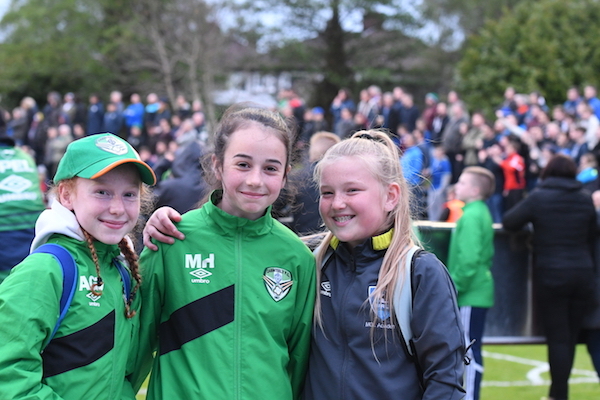 As the game entered the closing stages, Jason Byrne, presented with an award for reaching 500 League of Ireland appearances before kick-off, was introduced by Cabo and almost immediately, the game became more stretched and both sides were gifted gilt-edged chances to win it. It took Waterford, roared on by their large and vociferous travelling support, 82 minutes to create their first real opening of the contest. Mark O’Sullivan, their industrious striker who engaged in a ding-dong battle with the Cabo central defensive partnership of Sean Fitzpatrick and Conor Keely all evening, found himself through on goal for the first time, only for Keeley to recover to execute a last-ditch block at the expense of a corner. 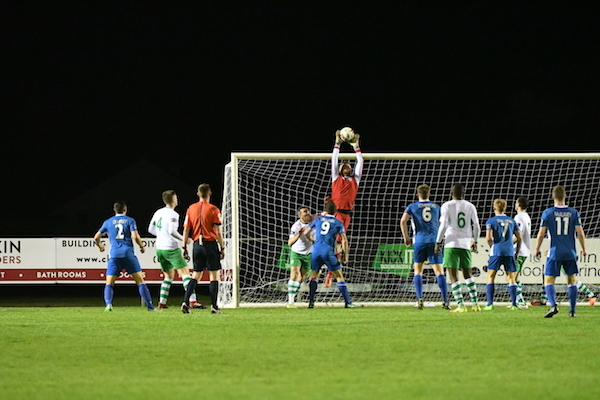 As the game entered stoppage time, Waterford were given one final chance to steal all three points. A long throw into the box was met by the forehead of O’Sullivan but Michael Kelly, who otherwise had little to do all evening, produced a stunning reflex save with his feet, again at the expense of a corner. Finally, five minutes into injury time, came the mother of all chances for Cabo. Marty Waters produced a sublime piece of wizardry to get free on the left of the Waterford area and his exquisite cross was met by the unmarked Watson who volleyed wide from eight yards, with the goal and time, at his mercy. Overall, the home side will feel that they shaded the game and may see this as two points dropped rather than one point gained but can still be content with the progression made since the opening round 3-0 defeat in Waterford seven weeks ago. The sharing of the spoils is enough to see Cabo move up to fourth in the table ahead of their trip to Wexford next Friday evening while Waterford remain top, one point ahead of UCD who they host next weekend. Man of The Match – Conor Keeley, Cabinteely. 1. 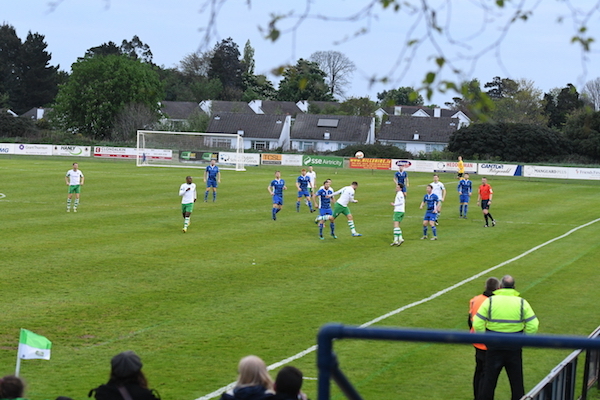 Jason Byrne for Evan Galvin (80th Minute). 2. Cian Lynch for Joe Doyle (66th Minute).